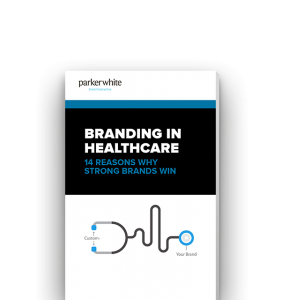 Download your free white paper and find out how strong healthcare branding can help your company win in competitive marketplaces. In today’s fiercely competitive business environment, companies are pressured to do more with less. Learn the importance of branding and how it can give your company the competitive edge to help grow sales, expand market share, and prevent commoditization. Brands are one of the most valuable business assets. Branding is one of the only ways a company can truly protect its differentiation. If you’re trying to move your company forward, you need to know how branding affects your business and determines your long-term success. For more information about branding in healthcare, get in touch with our San Diego brand development team today.